Life science research is often fascinating and full of promise. It’s also a potential minefield for the marketing professionals tasked with publicizing breakthroughs in life science fields from environmental protection to human genetics. Just how dangerous such publicity can be was evident after the recent announcement that a Chinese biomedical researcher had for the first time performed genetic editing on an unborn baby. Scientists, ethicists, and government leaders around the world were stunned when He Jiankui, an associate professor at Southern University of Science and Technology in Shenzhen, claimed he had successfully altered the genes of twin girls in a way that protected them from HIV, the virus that causes AIDS. The announcement was, in fact, the trigger for a public relations disaster. What followed was a global controversy over the kind of marketing hype that life science researchers and companies should avoid at all costs. Overall, marketing and public relations campaigns seem poorly suited for life sciences activities, especially those involving human health. This kind of medical research inspires awe and should be treated with life-or-death seriousness. Unfortunately, whether out of ignorance or shortsightedness, He and his team apparently forgot the seriousness of their breakthrough announcement and its impact on global public opinion. 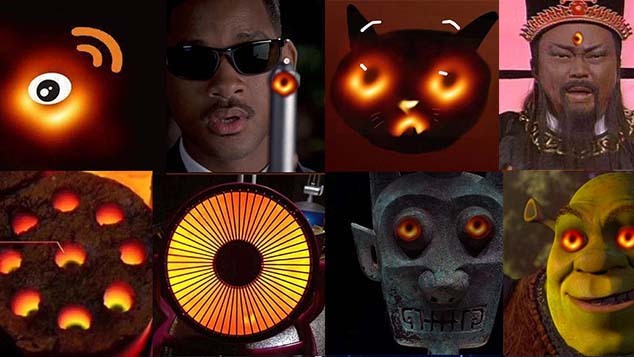 They may have overlooked the fact that altering human genes in the unborn could trigger a collective sense of anger, as well as condemnation and denunciation, among the public as well as within the scientific and medical communities. Some media reports say the incident may have a negative impact on the entire Chinese biomedical community's international reputation. He’s gene-edited baby announcement was officially reported in China on Nov. 26 by a People’s Daily affiliate under the headline “World’s First Baby Genetically Edited Against AIDS Born in China.” The report, which was later withdrawn from the website, was authored by the general manager of the business unit of the People’s Daily Network in Guangdong province, and thus could be labeled a soft-sell marketing piece. It’s worth noting that as early as Nov. 25, the American wire service Associated Press released a report about genetically edited babies and He’s research. The report was published by several media outlets including The Washington Post, the biotech news publication STAT, and MIT Technology Review. Moreover, according to an article posted by the Beijing News, He co-authored with five other experts a paper that was published by the peer-reviewed genetic editing publication “The CRISPR Journal.” One of the piece’s co-authors was Ryan Ferrell, an American, who has been described as a public relations expert tied to genetically edited baby experiments. 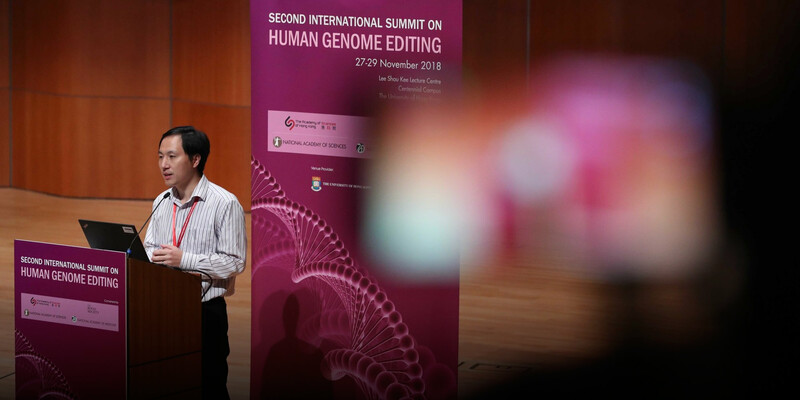 On Nov. 28, at the Second International Summit on Human Genome Editing in Hong Kong, He claimed he was surprised that the general media had announced his findings before the news was released to the scientific community. But his comments clashed with the fact that the Associated Press report on Nov. 25 was partly based on an October interview with He that a reporter conducted in a Shenzhen laboratory. The wire report said the gene editing of a baby would represent a dramatic leap forward for science, but would also raise ethical questions. It further noted that He’s claim had not yet been confirmed by an independent third party, nor had his results been published in an academic journal. For some researchers in the fast-moving and attention-grabbing life sciences arena, it’s tempting to seek and even indulge in the media spotlight. A breakthrough can attract almost overwhelming fame and acclaim. But the life sciences community — including related companies — should not let the media spotlight distort their professional vision. Discoveries and breakthrough claims must be managed prudently and with proper respect not only for science but for life itself. Marketing ploys and exaggerations have no place in this vital field. A mature life sciences company applies professional standards to every public relations activity. Such a company has strict rules for compliance, and requires that press releases are reviewed by professionals in as many relevant departments as necessary before anything is shared with the media. Indeed, legal compliance and clinical experts must confirm the veracity of every word, every comma, before the news is made public. Moreover, life science practitioners, including researchers, must be well-versed in all applicable laws and regulations, as well as medical ethics and professional norms. In many parts of the world, professional media relations and public affairs experts who work for life sciences companies have earned graduate degrees in science. 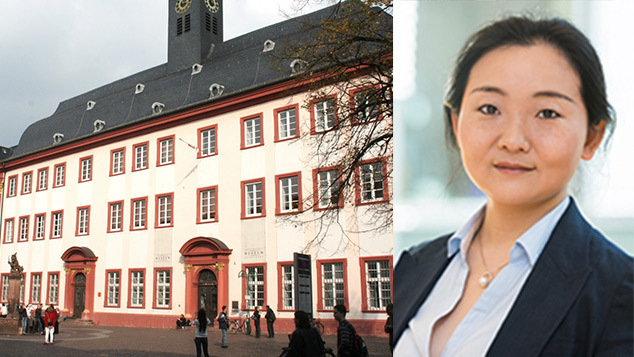 It’s not uncommon to find a spokesperson for a European or an American biomedical company who has earned a master’s degree or a doctorate in medicine, biology, organic chemistry, or biomedical engineering. Some have even had clinical experience in a medical school. Chinese public relations practitioners in the life sciences field likewise should have a relevant medical background and knowledge. In this area, it seems improvements are needed. Life sciences companies should demand professional expertise, political awareness and high standards for their public relations departments. He has tried to blame the news media for the fact that his breakthrough was announced to the world before the scientific community caught wind. But in fact, it seems clear that He and his public relations team took the initiative by contacting the news media before the gene-edited baby report was published in a scientific journal. The goal appeared to be aimed at generating a major news sensation at home and abroad. The Chinese social media writers Ye Shuisong and Di Lihui, whose work appears on the WeChat platform Intelligentsia, sharply rebuked He for what they said was a move designed to turn him into a wanghong — the Chinese expression for internet celebrity — even before the gene editing announcement. 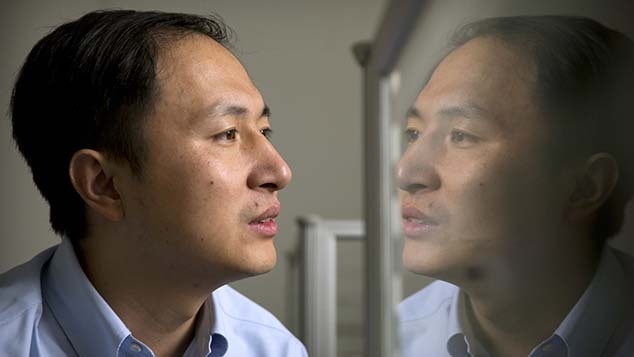 Their article, entitled “He Jiankui’s Publicity Trap Emerges at a Summit Scene,” claimed He had repeatedly sought attention after launching a media campaign that packaged him as a gene editing pioneer and scientific genius. The writers also noted that his paper on what he called a “$100, third-generation gene sequencer” was accepted by a specialty publisher that does not require peer reviews. They also disclosed that many life sciences scholars and experts have questioned this and related news reports for their advertising focus — a focus that stands to benefit chest-thumping researchers seeking fame and fortune. The gene-edited twins breakthrough announcement certainly brought fame to He. Now, he will likely remain in the media spotlight for some time. Respect for life and the seriousness of scientific endeavors must be at the heart of any public relations campaign. But news of the breakthrough claim failed to bring him much glory. Instead, the announcement was met with various degrees of doubt and disappointment. Various experts in China and abroad reacted to the announcement by noting that the gene-editing CRISPR technology adopted by He for human experiments is routinely used by molecular biologists for other applications. It seems He did not engage in any innovative techniques nor provide much of a scientific or technical contribution to advancing the CRISPR technology, they said. Indeed, some argued that babies can be protected from HIV by other means well-known to the medical community. He’s case is certainly not the first to confront the marketing minefield that surrounds the life sciences field. For example, Theranos, an innovative Silicon Valley company that claimed to have developed a breakthrough blood test, has also found itself in an explosive situation. The company was headed by young entrepreneur, Elizabeth Holmes, whose marketing style attracted media and investor attention. Positive write-ups about Holmes and the company appeared in The Wall Street Journal, The New Yorker, and Fortune magazine. Later, though, regulators accused Theranos of fraud and ordered a halt to the blood tests. A company that was once worth $9 billion eventually collapsed. Another minefield navigator was a wealthy physician named Patrick Soon-Shiong, who developed a cancer drug called Abraxane that was approved for treating breast, lung and pancreatic cancer in more than 40 countries. Soon-Shiong, who had a keen mind for business, worked on gene sequencing and founded the biotechnology company NantHealth before listing it on the Nasdaq stock exchange. But in 2017, authorities accused Soon-Shiong of fraud and illegal marketing after his company’s stock market listing campaign backfired. In the run-up to the listing, Soon-Shiong had been bombarded with interview requests and questions from reporters from medical publications, such as STAT. Through social media, NantHealth advertised that it had found new breakthroughs that could kill cancer cells, while Soon-Shiong claimed he was close to resolving all cancer problems — claims that in turn sparked fierce public debate. STAT and other media reported that Soon-Shiong’s promotional video on cancer immunotherapy crossed a red line set by U.S. Food and Drug Administration, which limits marketing for drugs under development. The FDA says drugs must be proven safe and effective before they can be marketed. Today, public and professional reactions to He’s genetic editing announcement have sounded a new alarm for marketing-related efforts in the life sciences sector. Research findings and company publicity in this area must strictly adhere to the principles of medical ethics, as well as relevant laws and regulations. 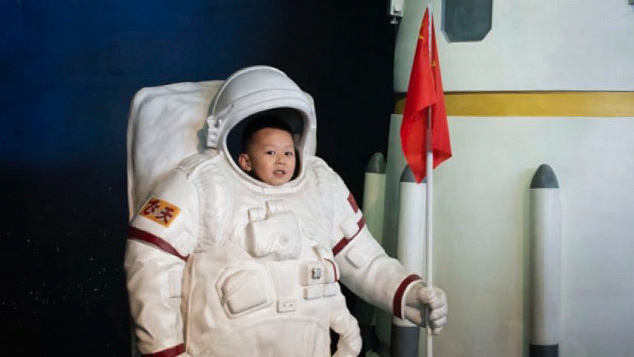 Respect for life and the seriousness of scientific endeavors must be at the heart of any public relations campaign, while marketing hype should be carefully avoided. Too much confidence can be dangerous. One misstep in the marketing minefield, much like mistakenly ingesting a fake but cleverly advertised drug, can be merciless. Public relations professionals thus have a responsibility to communicate life sciences developments and breakthroughs with transparency, effectiveness and honesty.